The BRONZE LION at the International Theatre Festival in Arezzo, Italy, for NAPASTA by I.L. Caragiale, directed by Alexa Visarion. The Excellence Award, for the whole cast of … AND THEY PUT HANDCUFFS ON THE FLOWERS awarded at the UNITER gala. The Great Prize, at the National Theatre Festival, in Brașov, for … AND THEY PUT HANDCUFFS ON THE FLOWERS. Terra Incognito Festival and German tour with … AND THEY PUT HANDCUFFS ON THE FLOWERS. The Award for Best Actress in a Comical Part, Adriana Trandafir. The Short Play Festival, Oradea with Arrabal’s PICNIC ON THE BATTLEFIELD, directed by Diana Manole, and Tremblay’s THE GOSSIP LADIES, directed by Peter Bokor. A tour to Călărași with THE BARBER OF SEVILLE. The Comedy Festival, Galați with Moliere’s SGANARELLE, directed by Dragoș Galgoțiu. 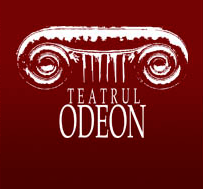 The Classical Theatre Festival, Arad with MISS NASTASIA, directed by Horea Popescu. The Short Play Festival, Oradea with Williams’ TALK TO ME LIKE THE RAIN, directed by Razvan Mazilu and BAROCCO PARTY, directed by Sergiu Anghel. The Theatre der Welt Festival, Berlin with SARAGOSA- 66 DAYS, directed by Alexandru Dabija, dramatization after “The Manuscript Found at Saragosa”byJan Potocki. The International Theatre Festival, in Piatra Neamț with M… BUTTERFLY, directed by Ada Lupu. The British Council Award, for CHIPS WITH EVERYTHING, at the UNITER Gala. The Theatre Festival in Galati with THE GOSSIP LADIES.